Cover your bases with Jewel Eye LED headlights, a remote-operated power tailgate, a multi-view rearview camera, Bluetooth HandsFreeLink, and push-button start. Enjoy upgrades such as heated and ventilated front seats, parking sensors, and remote engine start to revolutionize your driving experience. Improve awareness and avoidance with the Collision Mitigation Braking System, Adaptive Cruise Control, Lane Keeping Assist, and more. From the Acura/ELS Surround Premium 10-Speaker Sound System to intuitive navigation with real-time traffic and the On Demand Multi-Use Display, this package is as technologically advanced as they come. 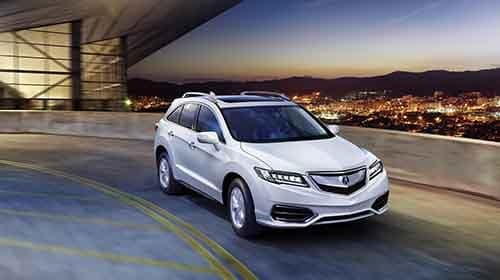 For more information about the 2018 Acura RDX packages and all they have to offer, as well as other feature availability, contact the team at Acura of Ocean! We’re happy to answer your questions, and don’t hesitate to stop by to explore your 2018 RDX options.